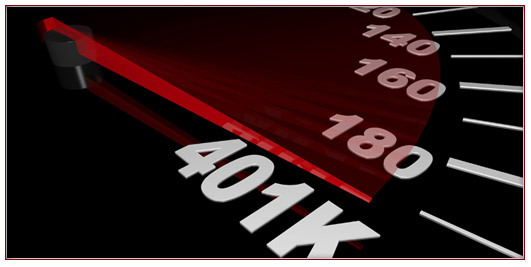 401k Benefits for Employees | Human Resources Inc.
It’s never too early to start saving for retirement. This is a benefit offered by many employers where money is contributed on a pre-tax basis to a retirement account. When pre-tax money is deducted from your paycheck, it reduces the amount of federal income taxes that you are subject to. This money is then invested in mutual funds, bonds, and other investment vehicles of your choice . Your account balance in the plan is portable and you can take it with you when you change jobs. It is never too early to start saving for retirement. Since investments compound over time, the most valuable asset you have in a retirement account is time. The difference between starting a retirement account at age 25 versus age 35 will surprise you. Someone who is 25 years old and puts aside $3,000 a year for 10 years and then stops will have approximately $472,000 by age 65, assuming an 8% average annual return. If this same person waits until they are 35 years old and saves $3,000 a year for the next 30 years, their retirement account will have only grown to $367,000 with the same 8% return. The 25-year old only put money aside for 10 years and the 35-year old put money aside for 30 years and didn’t even come close. The future of social security is uncertain. The program was never intended to represent 100% of your retirement income, but rather a supplement to any savings you already had in place. By 2033, without major changes, the amount of benefits paid under social security will be larger than the payroll taxes that fund the program. In a recent study, more 71% of investment advisors surveyed recommended younger generations needed retirement accounts valued at $2 million to $3 million, given their longer life expectancy. Another benefit of a 401(k) is that you are allowed to take out a loan that you repay back to yourself with interest. You may borrow up to 50% of the account’s value, or up to $50,000 whichever is lower, for reasons such as medical expenses, tuition expenses for members of your immediate family, buying a home, or to prevent foreclosure/eviction. The only caveat to taking a loan is that if your employment ends, you will owe the entire balance or face a 10% IRS penalty and the tax burden of having your loan turn into income. 401(k) provider websites make it very easy to research funds and bonds to find out where your money is being invested. They will tell you which funds are more aggressive and which are more conservative. You can be in charge of your own future. It is time to make sure your retirement years are truly golden. Don’t wait! Investing early makes all the difference for your future. Contact Human Resources, Inc. today!